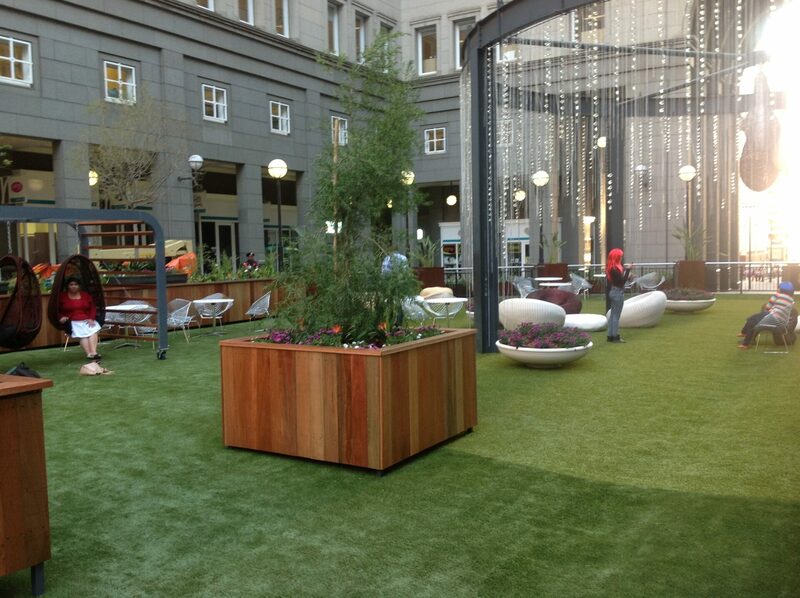 The Bank City courtyard is located along Simmonds Street in the centre of the 4 (four) FNB Bank City precinct buildings. The courtyard was the top-strata of a four-level basement parking configuration that caters to the Bank City precinct staff. The client requested us to activate the “dead” space between the company buildings and convert it to a recreational space for the staff. 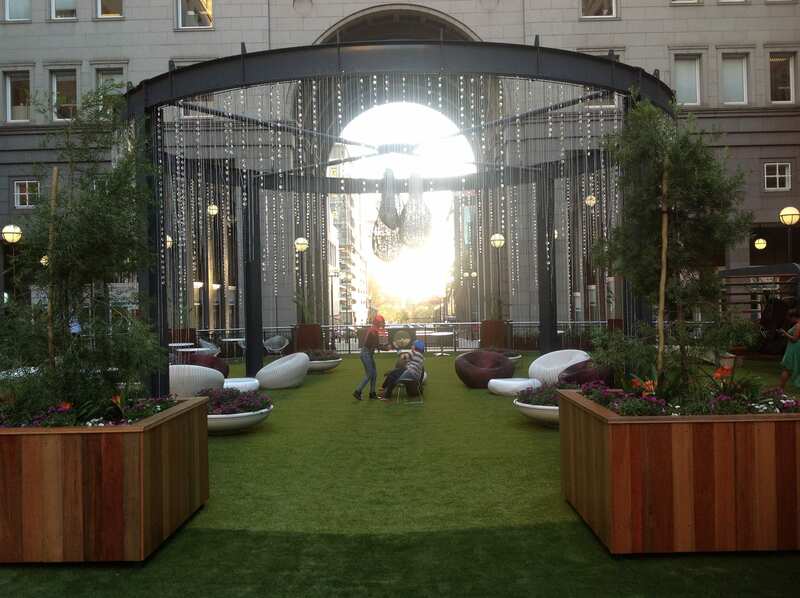 Our concept was that of an “Urban Sanctuary”. 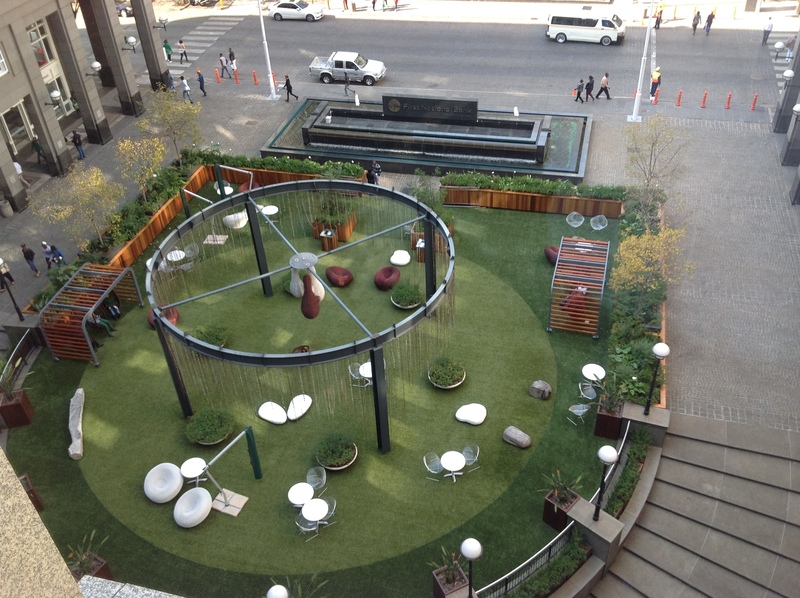 The idea was to convert the space into a vibrant urban park, with indigenous trees and vegetation. 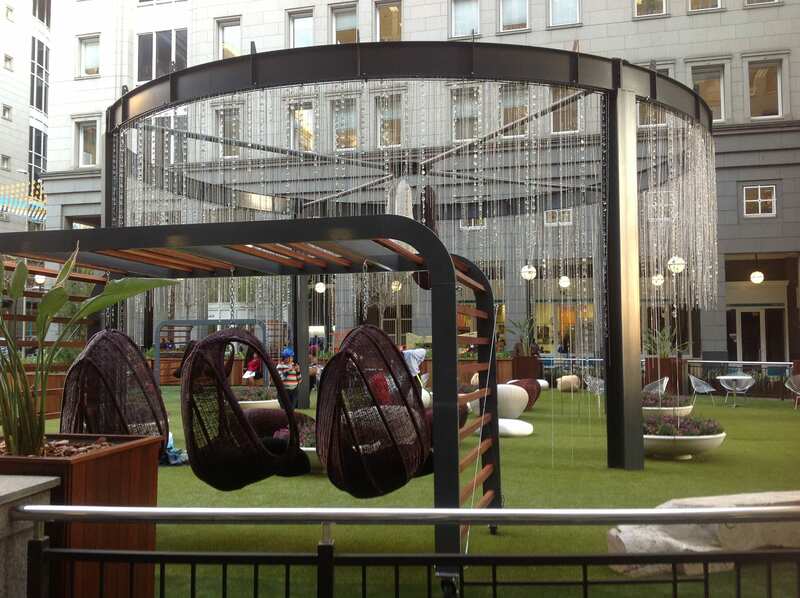 Our intention was to externalise office operations to a natural green outdoor space that staff can utilise for meeting and hot-desking purposes since its location was within their internal Wi-Fi and server range. This idea was made impossible by the fact that the courtyard was located on a concrete slab spanning across Simmonds street. There was no natural ground or vegetation within the vicinity of the courtyard. To incorporate natural ground and vegetation to the existing bare concrete landscape, we initially introduced wooden planters to demarcate the space. The planters were 1500mm wide and 1000m deep, allowing for medium-sized perennial trees to be planted. To soften the concrete surface, we layered the demarcated concrete surface with 50 tons of silica sand. The sand was landscaped into undulating dunes and topped with manicured varying lengths of “golfing green” astro-turf. The result was an organic, natural green pocket contrasted against the cold urban landscape. Finally, we populated this beautiful sanctuary with organic handmade furniture and reclaimed wooden forms. The heart of the courtyard consists of a recycled steel ring beam draped with beads of translucent hand-picked beach pebbles. The enthusiastic interaction of the staff with the new space became evidence of its elevation into a sanctuary.